Happy Monday! I know it is the middle of the summer and not a great time to bake, but I have this delicious recipe full of fresh summer ingredients…so it’s ok to make an exception this time! Speaking of baking, it is something that I have only recently become fond of…what? I write a healthy food blog, I am supposed to have liked baking since before I could walk. The truth is, I never disliked baking, but I really really liked (and still do) eating baked goods…so I stayed away from baking to keep myself from eating an entire batch of cookies. Once I started experimenting in the kitchen and realized that I could make healthier baked goods, I started to really enjoy baking (I could finally eat my treats without feeling guilty about it). Since I started experimenting with baking, I have found that it requires three different skills…art, science, and magic. The art is the combination and presentation of ingredients, the science is figuring out leavening agents, eggs, different flours, etc. And the magic is the zucchini! Zucchini really is a magic ingredient in baked goods. It adds nutrients (bonus), it makes baked goods go from dry and bland to moist and delicious, and it doesn’t add any flavor! I don’t think it gets more magical than that. Plus, I know those of you that have gardens have zucchinis coming out of your ears, and you are looking for new ways to use it up…another bonus, it’s low price or even free. Anyways, back to the blueberry zucchini bread. It is like a blueberry muffin but in bread form. 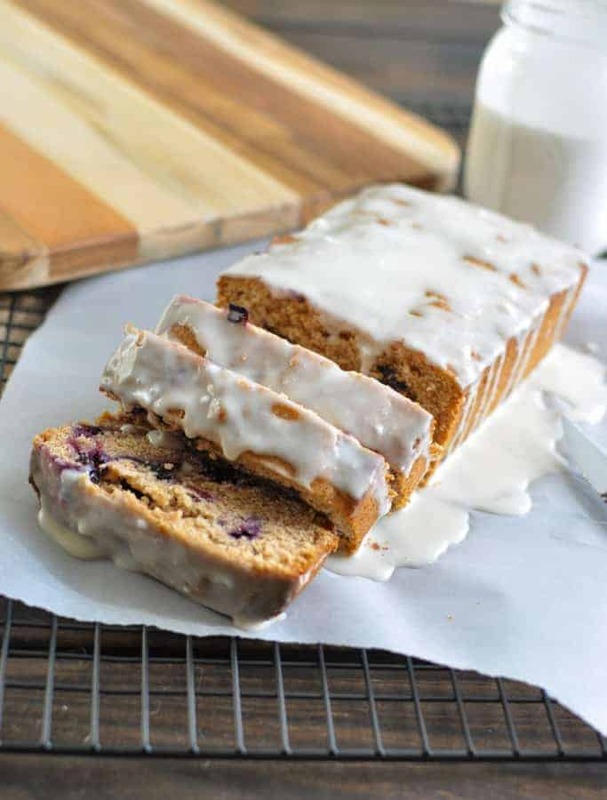 It is made with whole grain spelt flour, no refined sugar, big plump juicy blueberries, and of course zucchini. This recipe is also Vegan and nut free, so it is easy to serve to those with special dietary needs. Oh, and the glaze! How could I forget the glaze? 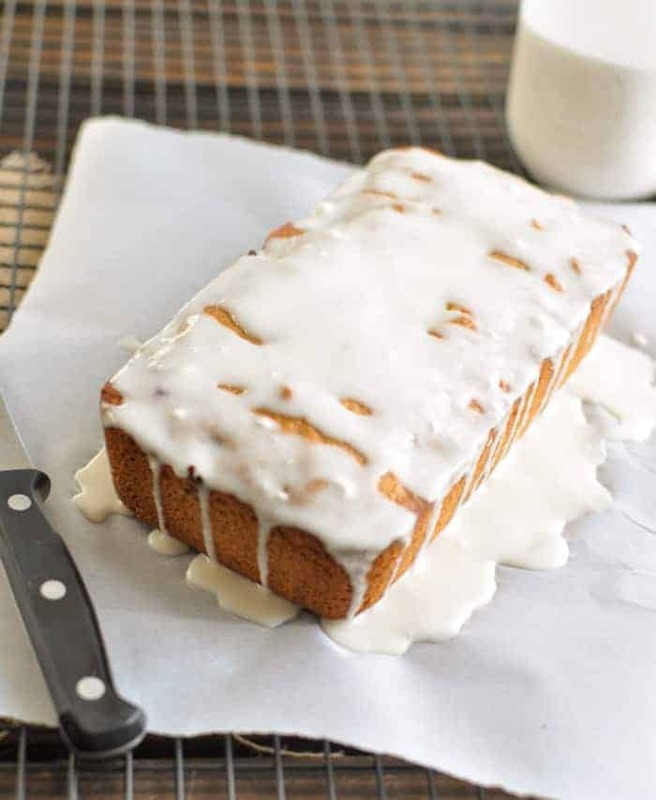 It is a light, lemony glaze made from chilled coconut milk. It is the perfect complement to the bread, and although it is optional, I highly recommend it! I would love to know if you make this bread and what you think of it. Please comment below and let me know what you think! You will get best results with the glaze, if you use chilled full fat canned coconut milk. You may need to make more than one batch of the glaze if you want as much glaze as I used, but for practical purposes, what I prefer to do is dip the bread in the glaze. So much less messy. (Just not as pretty for photos). Zucchini bread is a great way to use up that zucchini boat growing in your garden. Did you plant one zucchini seed in your garden this year and now you have 100 huge zucchini? Yup, that’s zucchini for ya. If that’s the case, you might like the following list of 9 Clean Eating zucchini bread recipes. If you have zucchini coming out of your ears, zucchini bread is a really good way to use up some of those zucchini :). I did the unthinkable this year. I didn’t plant any zucchini! I don’t need to worry, the neighbors will give me all I want. Actually, you know what I do sometimes when I have a lot of extra zucchini which is really easy. I freeze it and then make zucchini bread or cake ( I have a great chocolate cake that uses zucchini). It’s really easy to freeze zucchini. I just pick it and wash it and shred it just like I do to make zucchini bread. Then I measure out how much I use to make a batch of bread, which is usually about 2 cups. I throw it into a Ziploc bag, seal it and throw it in the freezer. Then when I want to use it, all I have to do is defrost it in the microwave. Because it’s already the correct amount for a batch of bread, that’s all I have to do. Just so you don’t freak out after zucchini is frozen and thawed out it will have a large amount of liquid in the bowl. All the liquid seems to come out of the zucchini when it defrosts. Don’t worry about it, just pour the liquid and all into the bowl with the rest of your ingredients. You need the liquid in the recipes to make it moist enough. This will give you an idea of how much water is inside a zucchini. It’s a lot for sure. I don’t suppose you ever thought about that before. You wouldn’t want to eat frozen zucchini for zoodles or anything similar, you need fresh for that. But freezing zucchini works great for making bread and cakes and other similar recipes. That’s why I didn’t plant any zucchini this year. I still have enough left over from last year in my freezer to make all the bread I want to make. 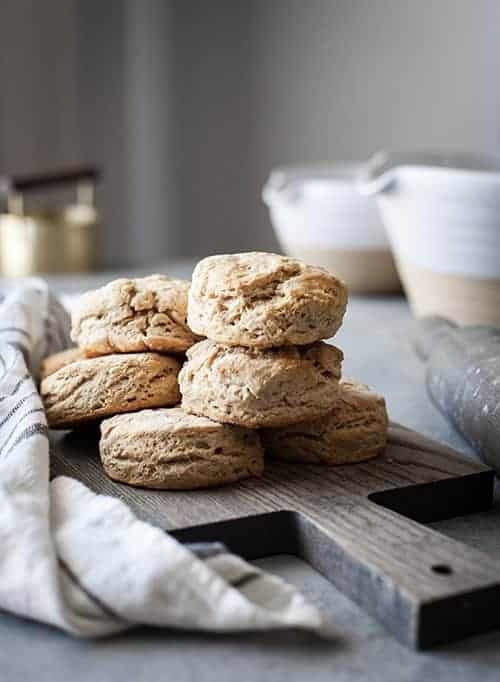 Since they are Clean Eating, all of them are made with alternative flours such as almond flour, coconut flour, quinoa flour, and whole wheat flour or maybe no flour at all. All of the clean eating zucchini bread recipes are moist and delicious. Give them all a try and have fun! If you see a recipe you like on the image above, just click on the corresponding number below and it will take you right to the recipe. The applesauce and yogurt help make this perfectly moist and very flavorful. Like a warm hug straight from your oven. I love the smell of freshly baked bread, yum yum. The smell of freshly baked bread brings back a lot of good memories for me. If you find a HUGE zucchini in your garden, like me. This is what you do with it. I could probably make 10 loaves of bread with zucchini as large as the one I found. Just don’t use the seeds, throw them away. Nutmeg is included because it adds a little extra flavor. There is some debate about whether low-fat milk or whole is milk is clean. From the sources I trust I’ve learned the whole milk is definitely clean and low-fat milk isn’t. Good fat is actually healthy. This recipe will make you want to grow your own zucchini plants. One plant is all you need. You’ll have zucchini coming out of your ear even with one plant. Try planting in a large container if you don’t have room for a full-size garden. The bananas add some extra healthy sweetness and can actually take the place of a good amount of sugar. Because of that, this recipes is quite healthy. Make extra and put it in the freezer for when company comes. Baked bread actually freezes very well. You could even slice it before you freeze it if you want to. Then you can just use a few slices at a time if you don’t have a large family. Enjoy the wholesome goodness of fresh ingredients. They taste a lot better and are a lot more healthy too. Let me know which recipes is your favorite. Wow! My new favorite dessert/breakfast bread! Just made this and it came out amazing! Only differences were that I used regular wheat flour, coconut condensed milk , and a whole cup of zucchini. Also skipped the maple syrup for the glaze. Thanks for the substitution ideas and thanks for commenting! 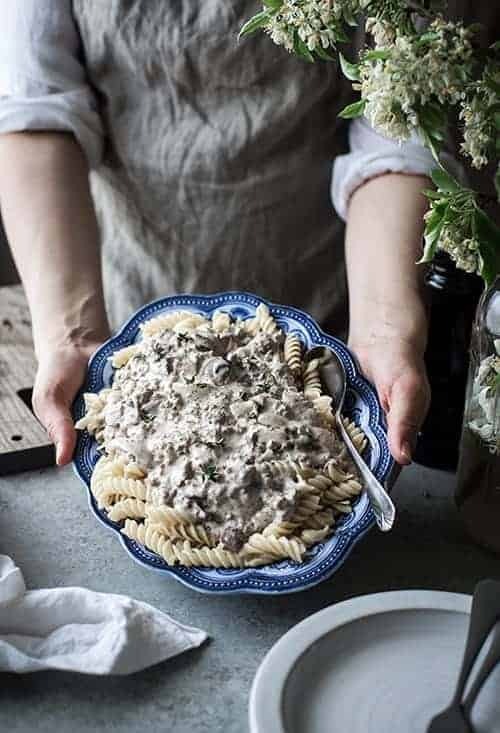 Hi there,I’m on low carb diet and this looks like it could be great if I can just substitute the spelt flour, could I use coconut flour or ground almonds instead? Thanks! Unfortunately, I wouldn’t recommend substituting ground almonds or coconut flour for spelt flour – they will drastically affect the outcome. If you are looking for some low carb baked goods, I would suggest my pumpkin muffins, peanut butter chocolate chip bread, or thumbprint cookies. I have many others as well. Let me know if you would like some more suggestions. Does this need kept in a fridge once made? Yes, it will keep in the fridge for a few days. What is the amount of sodium in this recipie? Approx. 160mg per serving (24 servings). If you need to decrease the sodium, you could decrease the salt from 1 tsp to 1/2 tsp, but I don’t recommend eliminating it completely. I just discovered you site while looking to make something vegan to make with some fresh blueberries I picked up from the farm stand. The ingredients list has everything i like and I can’t wait to make this recipe! I would like to make it into muffins though. Do you think that would work? If so, how long should I bake them and how many muffins do you think this recipe would make? Welcome, I am glad you found my site! Yes, it should work the recipe should work for muffins. I would guess it would make 12 large muffins (give or take a few), and I would bake for about 15 minutes and check them with a toothpick. Muffins will cook faster than the bread, and you don’t want to burn them :). I hope you love them as much as I do. I have all of the ingredients except the ground flaxseed. Is the flaxseed a substitute for egg? I really want to try out this recipe so I was thinking maybe I could use an egg if it could be substituted. Or is the flax not necessary? Any suggestions? Yes, the flaxseed is a substitute for an egg, so replacing the flaxseed with one egg should work :). You may also want to slightly decrease the amount of coconut milk you put in the recipe since the egg will add a little bit more liquid. Sounds good. Thank you for the suggestions. I can’t wait to make it! I just wanted to say thank you very much for the recipe and suggestions! This was a huge hit at home. I used the egg instead of flax, decreased the coconut milk a little bit and reduced the lemon zest by half (even though I absolutely love lemon my husband isn’t crazy about it like I am). The blueberry zucchini bread was gone within 24 hours. This recipe is now added to my cooking/baking rotation 🙂 thanks again! I am so glad you liked it! Thanks for coming back and letting me know how the substitutions worked for you. I just made this and OMG IS IT GOOD! I will make it again and again!! Thank you for this recipe!!! You are welcome! I am so glad you liked it, I know it is a favorite at our house as well. Can’t wait to make this! I have everything except the spelt flour and coconut milk, so I’m off to the grocery store! Your pictures are beautiful too! Thank you! I hope you love the bread as much as we do! Do you think i can try this base recipe and add pumpkin instead of zucchini? I haven’t tried it, but I think it would work great. If you do it, let me know how it turns out – I LOVE pumpkin in anything :). yay! I have 12 POUNDS of frozen wild blueberries (tiny ones) and am hoping that all my “frozen” fruits and veggies (bananas, zukes, yellow squash, blueberries, various citrus juices/slices/zests, and herbs) will be good for cooking. Had TONS fo goodies, didn’t want to waste them 😀 THANKS for the tips!! You’re welcome! I hope it turns out good for you. Wild blueberries sound so good right now. . .
Do you think this would work with quinoa flour? I think the consistency of the quinoa flour would work, but it will definitely alter the flavor. If you try it let me know how it worked for you :). Baking is fun as a mom! It’s a good way to get your kiddos involved with the activity you are doing (assuming I have the patience to let them help, haha)!